In all homes, sink faucets will eventually fail. Determine what kind of faucet you need to repair and replace cartridges, washers, O-rings, and diaphragms. If you would prefer to have a plumber or handyman do the job for you, find local unbiased reviews on the best plumbers - Try Angies List . 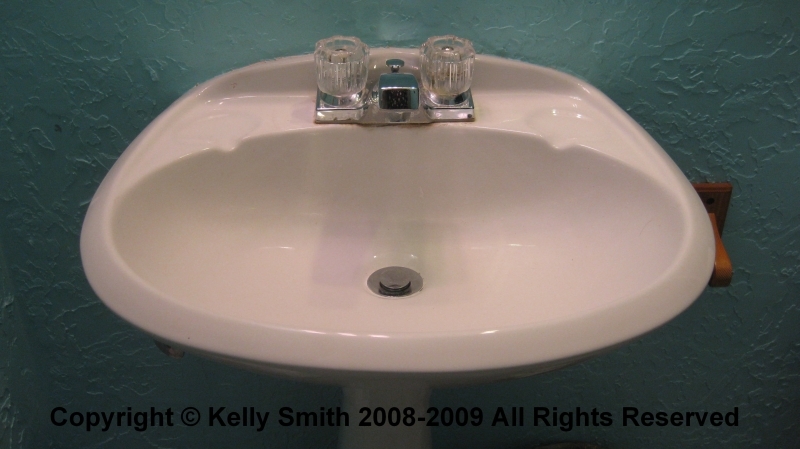 Sink faucets are found in laundry rooms, kitchens, bathrooms, and elsewhere. Because theyre so ubiquitous, they usually arent given a thought until they fail. Many experts report that indoor running water is the single most impressive event that altered domestic society resulting in our present state of comfort. Theyre both an essential and fundamental part of our homes as well as fast food joints and the hotel industry. But when things do go bad, as they inevitably will, the important concept to understand is that there are a wide array of sink faucets available. Without identifying the faucet manufacturer and model, repairing a sink faucet is impossible. Compression Faucets  This type is always doubled handled; look for this first in the identification process. These are simple, while functional; an internal washer raises to allow the water to flow. For this reason they are also called washer type faucets or stem faucets. Repair Tip  If the spout is dripping, replace the stem washer. Repair Tip  If your handle is leaking, replace the O-ring or stem packing. Diaphragm Faucets  These are also double handled. Repair Tip  If your handle is leaking, replace the O-ring. Repair Tip  If the handle and spout are both leaking, replace the diaphragm. Disc Faucets  This kind of faucet may have either one or two handles. It contains a pair of plastic or ceramic discs which regulate both the temperature and volume of water that reaches the user. Repair Tip  If this faucet acts up, either replace its seals or unclog its inlet ports. The discs are long-lasting and rarely a problem. Rotating Ball Faucet  Now were down to one thats always a single handled faucet. It recieves the name because of the use of a slotted plastic or brass ball that perches atop a spring-loaded plastic seat. The handle causes the ball to rotate, which adjusts the temperature and the flow volume. Repair Tip  If its leaking from the spout replace the springs and seats as a set. Repair Tip  But if its leaking from the handle, replace the O-rings as well as adjusting the adjusting ring. If both the handle and the spout are leaking, just go ahead and replace the diaphragm. Cartridge Faucets  This is a single lever faucet, and it uses a cartridge to control the water flow. Repair Tip  This one is a one of the least challenging. It uses a very simple plumbing assembly. When things go wrong, try changing out the O-rings as the first step. Didnt fix the problem? Just change out the cartridge. Take the old one with you to the plumbing shop to make sure you get the right one. There are some tools that apply equally to other areas of DIY but are essential for plumbing projects. Slip-joint or Channel-Lock Pliers  The most basic of plumbing tools. Owning two pairs is highly recommended. Teflon Tape  Inexpensive enough to use the tape rather than the paste. It should be used on all threads. A bunch of rags  Youll usually end up needing more than you planned on. Screwdrivers  Have all kinds on hand; no home should be without them. Nut-drivers  Many rubber or soft connections will use automotive style hose clamps.